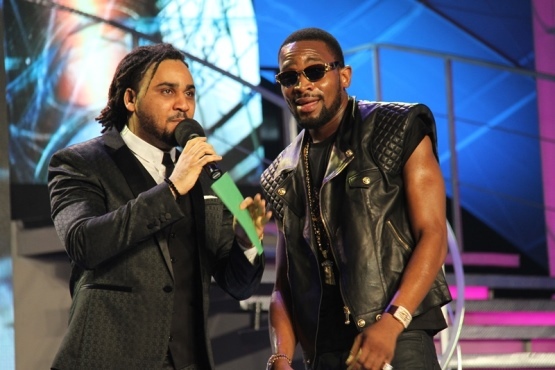 Nigerian Idol 3 finale; Femi Kuti, D'Banj, Omawumi, all hail Moses - Glitz Plus Ent. Like in previous seasons, Etisalat Nigeria delivered, as promised, a brand new SUV and a 7.5-million-naira cheque to the new Idol, who will also get a recording contract worth another N7.5 million. First Runner-up, Debbie Rise drove home in a brand new Kia Picanto, also courtesy Etisalat Nigeria. All the excitement was witnessed on TV by millions of Nigerians home and abroad. But you can be assured that the atmosphere in the Dream Studios, where the grand finale took place, was full of contagious squeals. Fever pitch escalated when D’banj, Omawumi and Kaffy performed. Former Idol, Yeka Onka was also on stage to perform one of her captivating songs. The star performance of the night was that of multiple Grammy Award nominee and Afrobeat singer, Femi Kuti, who doubled as one of the judges on the show. 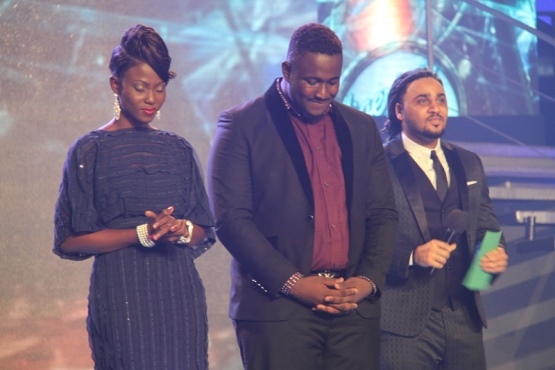 Kuti and the other judges, Yinka Davies and Jeffrey Daniels were full of praise for both Moses and Debbie Rise. Friends and families of the finalists also showed up to celebrate with their own. Moses’ sister, Rhoda, leapt on stage when the announcement was made while his brother, Prince, grinned proudly. Debbie Rise’s parents proudly supported their daughter as she stepped off the Nigerian Idol 3 stage and friends swarmed around her. The Top 12 contestants were not left out of the glamour and celebration, as they gave a group performance. Efezino, Jay Feel, Abasi Akang, Safeeyat and the others also stepped up on stage to embrace Moses, who dissolved in their arms and cried happily. This season, the Nigerian Idol website enjoyed over 30 million hits, while on Facebook, over 96,000 friends were added. Ahead of season 4, we now wait to see if Moses will continue to make Nigeria and Africa proud, just like Mercy and Yeka who recently performed at the O2 Arena in London, courtesy of Etisalat.